The American Academy of Pediatrics and the Canadian Society of Pediatrics state infants aged 0-2 years should not have any exposure to technology, 3-5 years be restricted to one hour per day, and 6-18 years restricted to 2 hours per day (AAP 2001/13, CPS 2010). Children and youth use 4-5 times the recommended amount of technology, with serious and often life threatening consequences (Kaiser Foundation 2010, Active Healthy Kids Canada 2012). Handheld devices (cell phones, tablets, electronic games) have dramatically increased the accessibility and usage of technology, causing escalating usage, especially by very young children (Common Sense Media, 2013). Cris Rowan, pediatric occupational therapist is calling on parents, teachers, and government to ban the use of all handheld devices for children under the age of 12 years. Following are ten research evidenced reasons for this ban. Please visit zonein.ca to view the Zone’in Fact Sheetfor referenced research. TV and video game use correlates with increased obesity (Tremblay 2005). 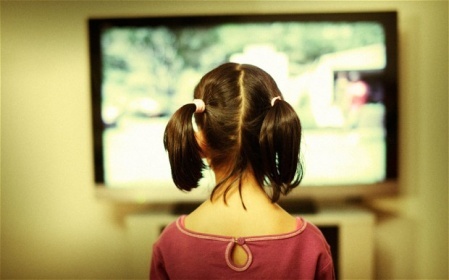 Children who are allowed a device in their bedrooms have 30% increased incidence of obesity (Feng 2011). One in four Canadian, and one in three U.S. children are obese (Tremblay 2011). 30% of children with obesity, will develop diabetes, and be at risk for early stroke and heart attack, gravely shortening life expectancy (Centre for Disease Control and Prevention 2010). Due to obesity, 21st century children may be the first generation many of whom will not outlive their parents(Professor Andrew Prentice, BBC News 2002). As parents attach more and more to technology, they are detaching from their children. In the absence of parental attachment, detached children attach to devices, resulting in addiction(Rowan 2010). One in 11 children aged 8-18 years are addicted to technology (Gentlie 2009). Never in the history of humankind have there been child addictions. The ways in which children are raised and educated with technology are no longer sustainable(Rowan 2010). Children are our future, but there is no future for children who overuse technology. A team based approach is necessary and urgent in order to reduce the use of technology by children. Please reference below slides shows on www.zonein.ca under videos to share with others who are concerned about technology overuse by children. I am completely agree. The main reason why the world becomes so cruel and full of violence is the improper upbringing of the children. Many parents do not control the activity of their children. And the influence of violent games certainly left its mark on the psyche of the child.